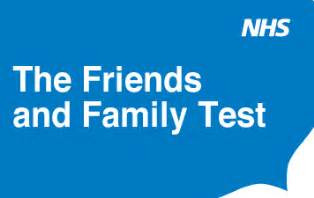 The NHS Friends and Family Test (FFT) was created to help service providers and commissioners understand whether their patients are happy with the service provided, or where improvements are needed. If you have a few minutes please fill in this Friends and Family Test. It is a quick and anonymous way to give your views after visiting or contacting the service.